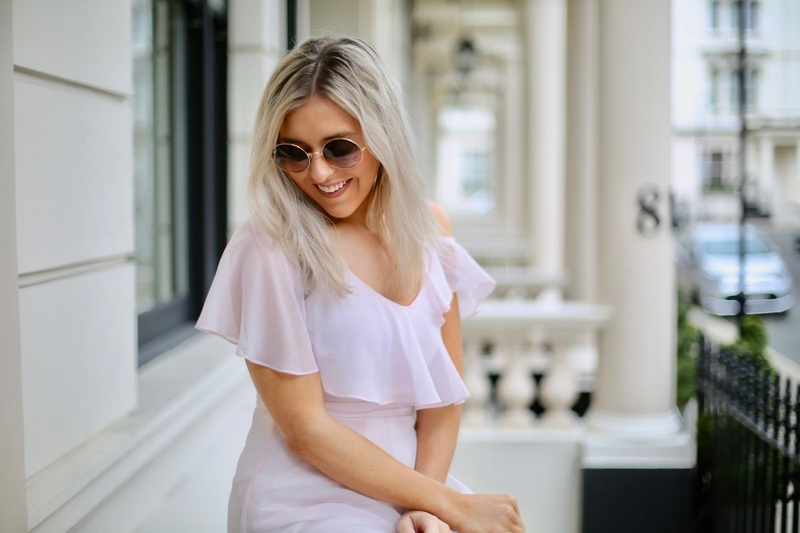 If you've ever stopped by the occasionwear ideas section of my blog you'll know that I'm forever on the hunt for new occasionwear outfit ideas to add to my wishlist. I'm lucky to receive so many requests on a daily basis asking for ideas of what to wear to weddings, parties, the races, and other events. I'm honored that you guys trust me. I honestly think choosing what to wear as a guest to an event is the hardest thing, particularly if the theme is smart casual. Give me casual or give me smart but smart casual just confuses the life out of me. I'll never forget the struggle I had finding something to wear when I went to my first ever wedding. So, today I thought I'd write down my top tips for what to wear as a wedding guest this season. If you're struggling for what to wear as a wedding guest, this post is for you. Just make sure you continue to check the occasionwear ideas section of my blog for constant new additions as stock levels change and I add new stuff every other day. Let's go. This is in partnership with House Of Fraser. COLOUR - I think first and foremost colour is an important thing to think about. I always seem to fall in love with white outfits and obviously, you can't really wear white to a wedding (unless the bride specifically says you can but traditionally you shouldn't). To stop yourself even falling in love with a white dress (this happened to me at the BAFTA's and the theme was black) when you're hunting on websites, select every colour apart from white and then it limits the chances of you falling in love with the wrong colour. I think vibrancy is absolutely okay when it comes to weddings, I do love a cute pastel colour though. STYLE - Most websites will have a specific 'occasionwear' section or I find the 'day dress' section of a website is a good place to start. I find wedding dress outfits tend to be floaty, off the shoulder, chiffon or in really nice prints. There's something smart and elegant about chiffon. I also really like midis for a classic look. The dress I selected above is from House Of Fraser and their Wedding Guest boutique, although you can check out more here too. I think it's such a feminine, pretty style. It isn't necessarily something I'd have ordinarily picked but I don't think you can beat a pretty, chiffon, pastel number for a wedding. ACCESSORIES - I'm a big lover of accessorising. For my graduation day outfit, I bought a really affordable, plain dress and paired it with some designer heels. I do think it's all about how you accessorize things sometimes. You could have beautiful hair tied back, a plain dress and then killer shoes for example. You do end up doing a lot of walking at weddings so ensure you opt for comfortable shoes, I personally think slingbacks and open-toed shoes look the best but if you can't walk in them, what's the point? Choose a chunkier heel, a wedge or a smaller heel for a comfier and more relaxed day. Weddings can be long! I also think a nice compact bag is a must-have for storing all your things. I prefer one with a shoulder strap so I'm not carrying it in my hands all day or leaving it anywhere! DRESS OR NO DRESS? - Just because it's a wedding you don't have to wear a girlie dress. So many women are killing it right now in tailoring or gorgeous two pieces. You don't have to go for chiffon, have a look at some pastel tailoring this season to mix things up if dresses aren't for you. You can check out my YouTube here as I regularly upload hauls. BEAUTY - I've already mentioned tying your hair up for a sleek look and I think that's what I love about wedding season, it really gives you an excuse to play around with your hair, nails and makeup. I get my gel nails done by a local salon in Leeds called Rag Doll Nails and if I'm wearing a neutral dress, it means I can go for a pop of colour on my nails with a matching pedi if I'm wearing open-toed shoes. The gel nails last me 6 weeks without a single chip! With the hair, I do find a gorgeous sleek pony looks amazing with off the shoulder wedding guest dresses for Summer, or you can always go for my signature style, loose curls. I tend to get a blow dry for events and when I'm in London I go to SHOW Beauty. In Leeds I go to Sassoon. If you're trying to cut costs, you can do it yourself though. I highly recommend using the Cloud Nine tong or GHD tong with GHD curl spray for a bouncy at home blow dry. You can shop my dress at House Of Fraser online here and other wedding guest outfit ideas online here at their wedding boutique too. Head to my occasionwear ideas section now for more ideas when it comes to figuring out what to wear for a wedding. Do you have any styling tips for a wedding? What kind of thing do you like to wear? *Sponsored by House Of Fraser but as always, 100% my honest opinion.